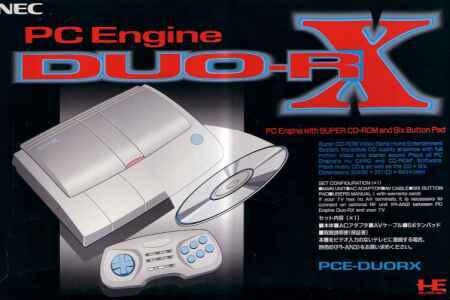 The PC-Engine was a collaborative effort between Japanese software maker Hudson Soft (which maintains a chip-making division) and NEC. The PC Engine was and is a very small video game console, due primarily to a very efficient three-chip architecture and its use of HuCards, credit-card sized data cartridges. 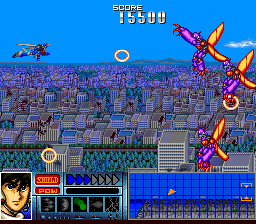 "HuCard" (Hudson Card; also referred to as "TurboChip" in North America) was derived from Hudson Soft. It was the first console to have an optional CD module, allowing the standard benefits of the CD medium: more storage, cheaper media costs, and redbook audio. 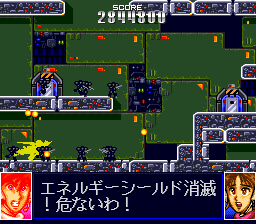 The efficient design, backing of many of Japan's major software producers, and the additional CD ROM capabilities gave the PC Engine a very wide variety of software, with several hundred games for both the HuCard and CD formats. 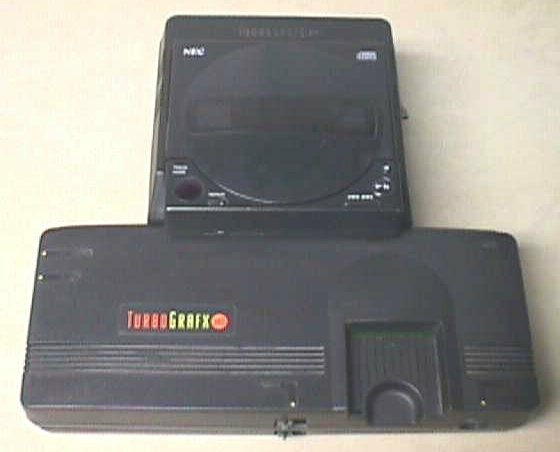 The TurboGrafx-16 was the first video game console in North America to have a CD-ROM peripheral (following the pioneering spirit of the PC-Engine CD-ROM add-on in Japan). Same as the Duo, but white/beige, shaped differently, and lacks the lock and headphone port. Same as the Duo R, slightly blue in colour. The only PCE packaged with a six-button pad. 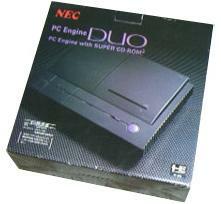 In 1992 TTi (Turbo Technologies Inc.) released the TurboDuo, the North American version of the Japanese Duo. 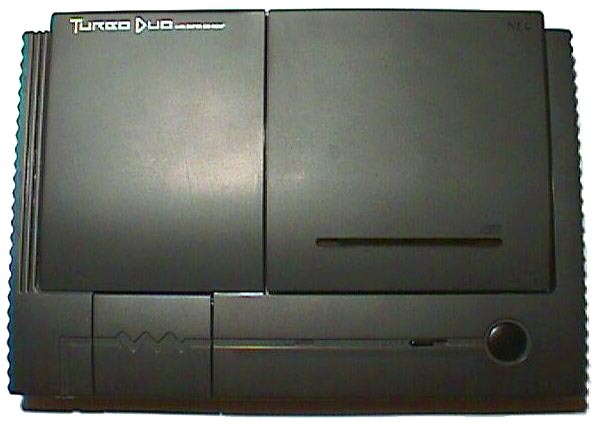 The system combined the TurboGrafx-16 and an enhanced version of the CD-ROM drive (the "Super CD-ROM�") into a single unit. 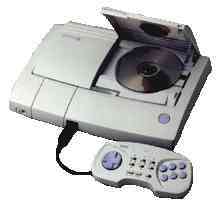 The system could play audio CDs, CD+Gs, CD-ROM2 and Super CD games as well as standard HuCards. CPU: 8-bit HuC6280A, a modified 65C02 running at 1.79 or 7.16 MHz (switchable by software). GPU: A dual graphics processor setup. One 16-bit HuC6260 Video Color Encoder (VCE), and one 16-bit HuC6270A Video Display Controller (VDC). 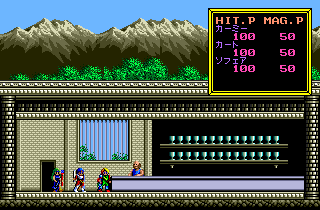 Sprite Palette: Each sprite can use up to 15 unique colors (one color must be reserved as transparent) via one of the 16 available sprite palettes. Sprite Layers: The HuC6270A VDC was capable of displaying one sprite layer. 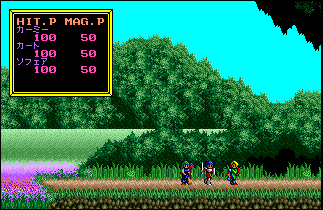 Sprites could be placed either in front of or behind background tiles. 6 PSG audio channels, programmable through the HuC6280A CPU. Each channel had a frequency of 111.87 kHz (while not in D/A mode) with a bit depth of 5 bits. Each channel also was allotted 20 bytes (32�5 bits) of RAM for sample data. The waveforms were programmable so the composers were not limited to the standard selection of waveforms (square, sine, sawtooth, triangle, etc. ).